DoneIn2Minutes 2.0 – More customization now available. HK Lifestyle 1.0 – New product. RestartMe 1.5 – OS 5.0 compatibility. A Chrismas Carol EBook – New product. Koran EBook – New product. 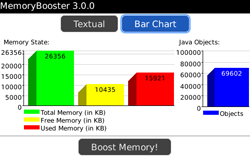 MemoryBooster 3.1 – OS 5.0 compatibility, more features. NextAction! Standard Edition 3.2 – OS 5.0 compatibility. NextAction! Professional Edition 3.2 – OS 5.0 compatibility.